​Prepare with the best for your Microsoft Office 2016 Word Certification Exam. Feel confident, hone your test-taking skills, and calm your exam fears with the 70-725 practice exam. With a focus on skill assessment and a performance-based format this practice exam is sure to prepare you for your certification and provide you a competitive edge in today's academic and professional environments. Successful candidates for the Microsoft Word 2016 exam will have a fundamental understanding of the Word environment and the ability to complete tasks independently. 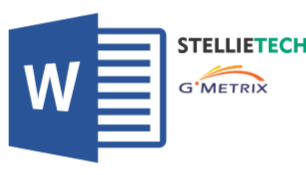 They will demonstrate the correct application of the principle features of Word 2016 by creating and editing 2- to 3-page documents for a variety of purposes and situations. Document examples include professional-looking reports, multi-column newsletters, résumés, and business correspondence. GMetrix has prepared exam-focused training to help you be successful in passing your MOS 2016 exams. The MOS 2016 practice test products map directly to exam objectives. In addition to "standard mode," MOS 2016 practice exams include Project Mode which emulates real-life usage similar to the project mode of the certification exams.